The events industry is huge! Everyone was a piece of the events pie and establish themselves as a force of reckoning on the circuit. One way to do it is to have a solid online presence. The process has become extremely easy now. 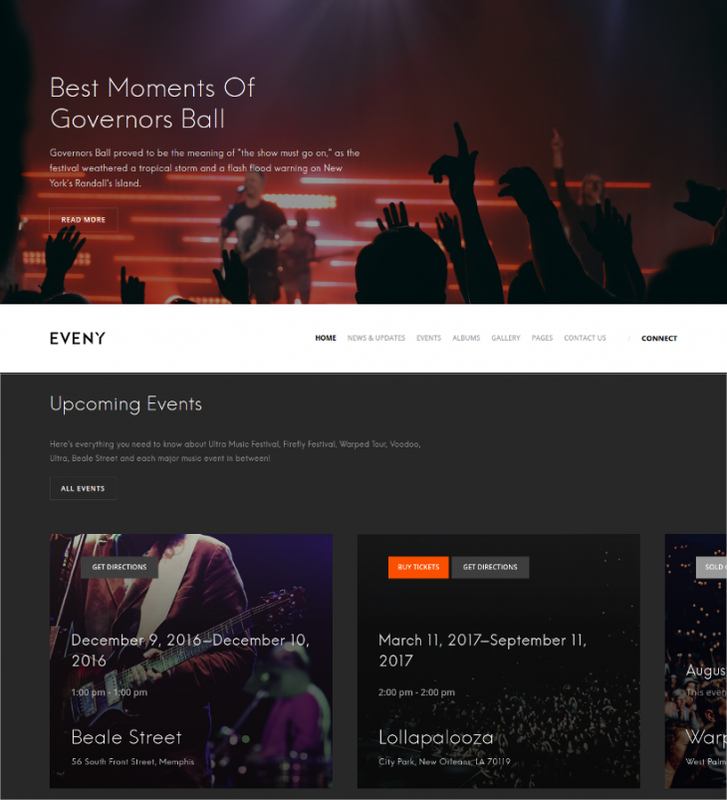 Whatever be your events-specialty, just select any one of the well-designed and fully-loaded Event and Music WordPress theme templates and give yourself a head-start! Check out our compilation and pick your favorite now! 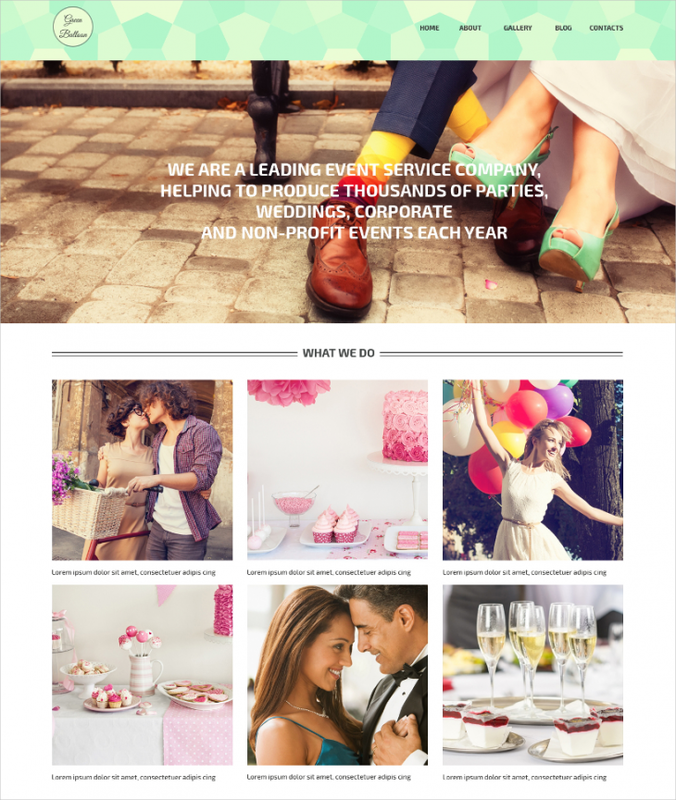 If you’re an event-planning firm looking to jazz up your portal completely, we’d recommend you to try this theme. It a feature-rich theme, wired with an assortment of options which will collectively play a role in improving the look and performance of your website. Some of the top points of this theme are Retina-ready images, testimonials sections, cross-browser compatibility, fully responsive, Google Maps integration, WPML ready and much more! 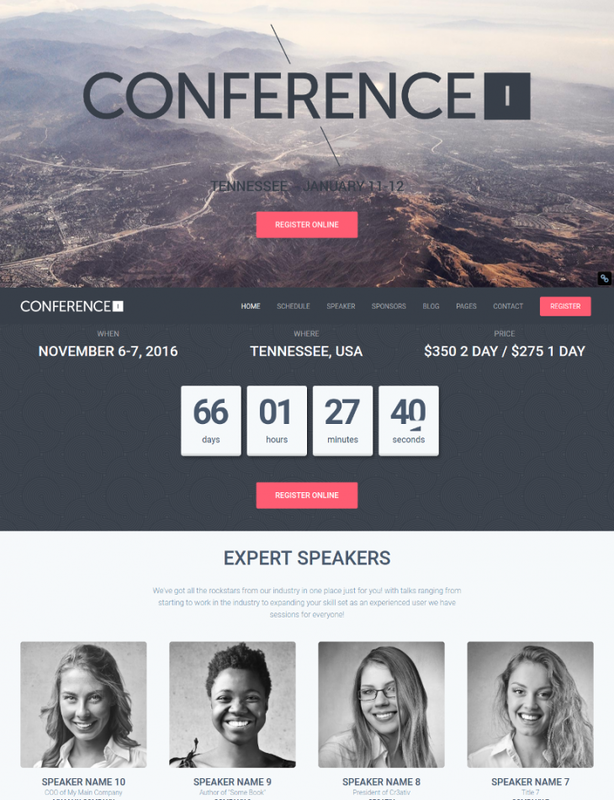 If you have been tasked to create a portal for a conference specialist company, this WordPress theme is just perfect. 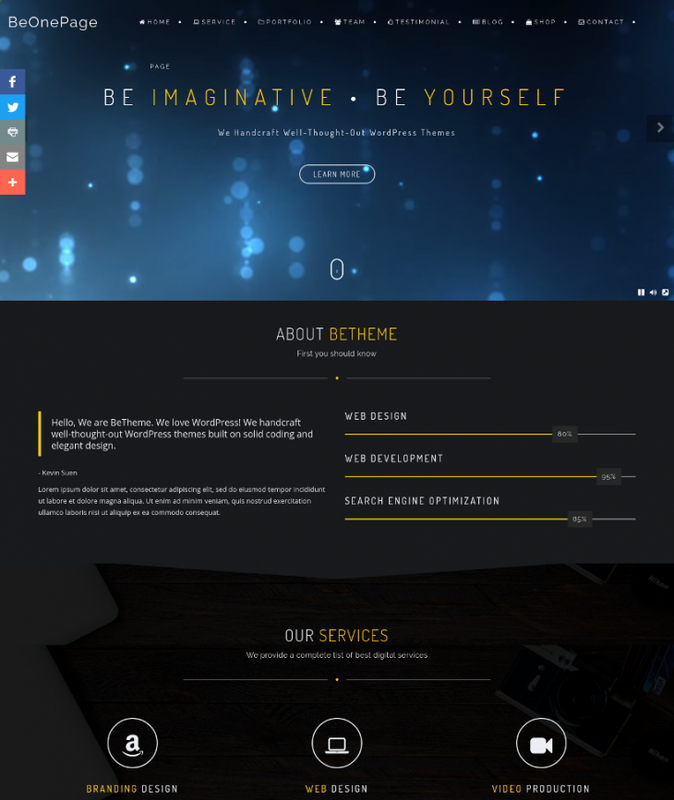 It is a responsive theme supported by Bootstrap framework. It has got a visual composer as well as Woocommerce support. If you want to build or convert your portal into multilingual, this theme is wired with WPML support as well. 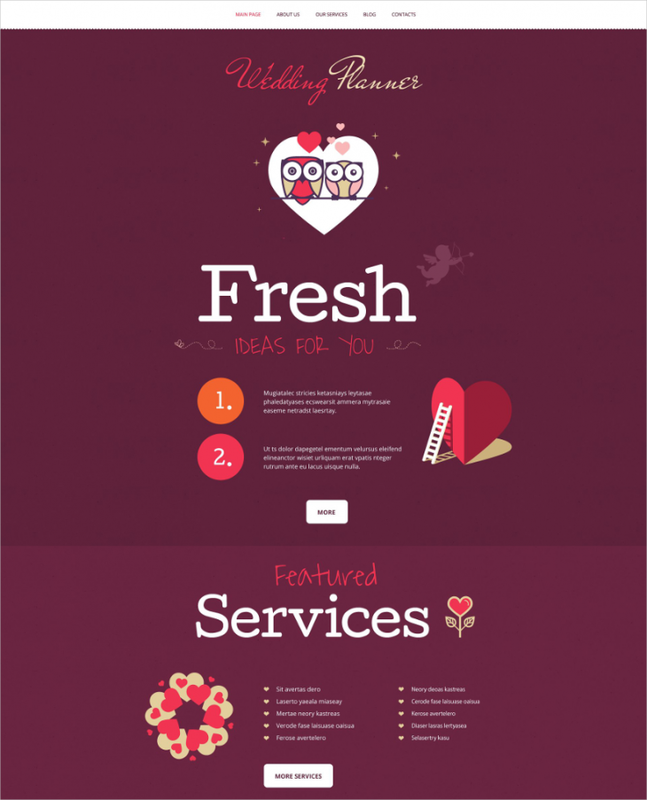 This Wedding WordPress theme has got a lot of goods to make it stand out from its competition. Taking the prize, however, is the unusual color scheme – cherry-red. Surely you would have come across WordPress themes too many having that color as their hero. Apart from the theme boasts of handwritten fonts, origami elements, and hearts to romanticize the overall design and layout. Besides, the fully responsive theme has also got a photo gallery with circular images. There are also ‘Wedding dresses’ and ‘News and events’ sections. Be it an event, conference, summit, meet -up, workshop, music festival and selling tickets integrated websites, this theme is versatile in its use and performance to cater to be the backbone of all kinds of websites. The theme not only looks attractive and elegant, it has a great set of features as its USP. They include 2 Custom Post Types, Events Calendar Plugin compatible, Live Theme Customizer, SEO Friendly, Supporting tons of powerful plugins like WooCommerce, Slider Revolution, Visual Composer etc. It could for a simple birthday party or a posh awards night, this event WordPress theme is packed with all the goods which make it a perfect template option for businesses in the events industry. There is an ‘About Us’ section, contact section, the galleries are built to be stacked up with high-res event pictures. You could also put a showcase of what your clients have to say about services in the ‘Testimonials’ section. The layout of the theme is three column grid and a functional navigation menu. Are you organizing a movie or music event? Well, if your website doesn’t have the same feels as your events have, it’s time to give it a theme makeover. 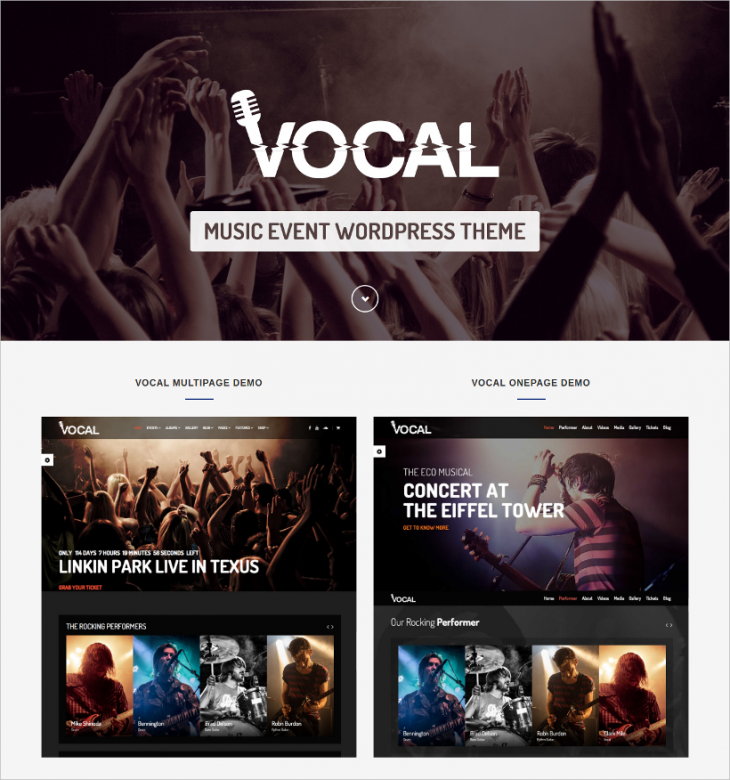 Check out this Music WordPress theme which is just right for an events specialist dealing in gigs about movies and music. This is fully responsive and professionally designed and developed a theme which has got 6 color variations, photo albums, inbuilt audio player, YouTube and Vimeo support, and much more! 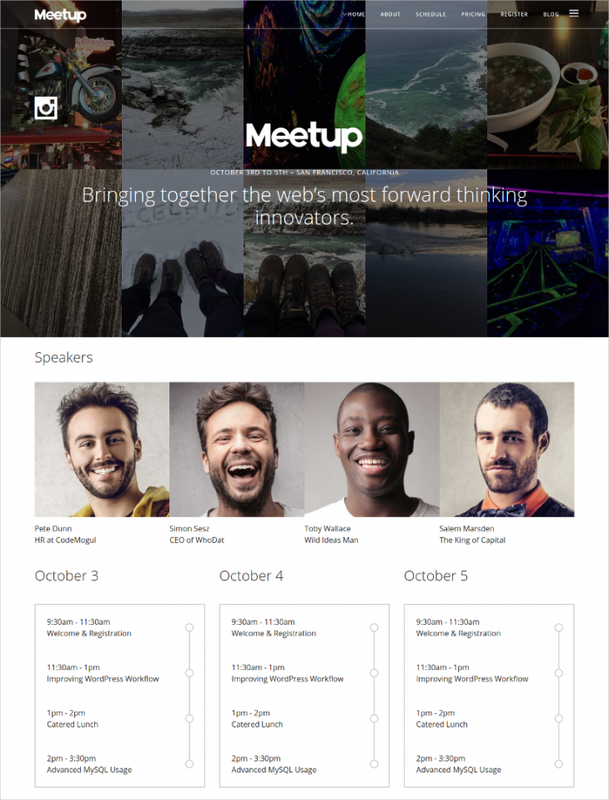 Check out this creative Events WordPress theme with easy deploy settings. It’s got a contemporary design and layout, packed with great customizable features, including 100 percent responsive layout and design, custom pages and posts, the installation process is simple and quick. The theme houses 600 Google Web fonts, color options, and 80 shortcodes. This theme is ideal for companies that are pros in organizing formal events such as corporate conferences, seminars, meetings and the like. The design and layout of the theme are attractively formal, and is home to features such as Visual Composer, SEO optimized contents, retina ready images, 100 percent responsive design, Lightbox gallery , Video background, countdown timer etc. 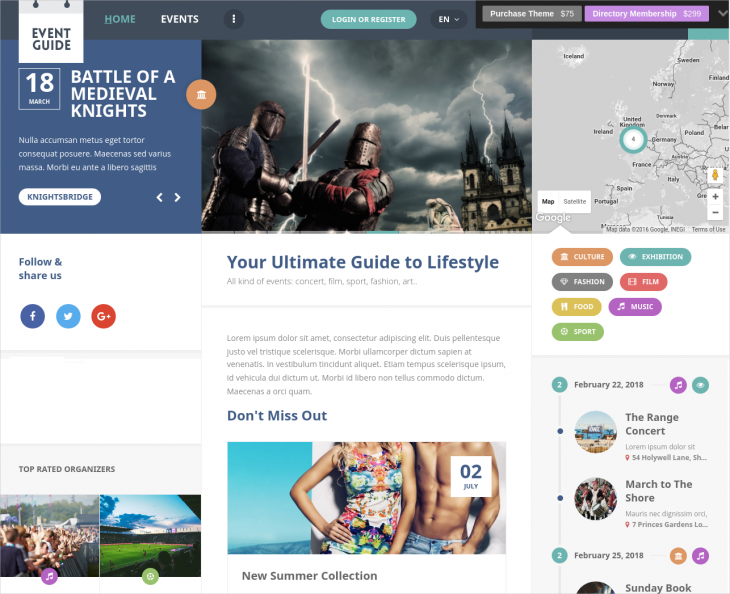 This theme was designed and developed after its makers surveyed through many, many conference sites on the Web. 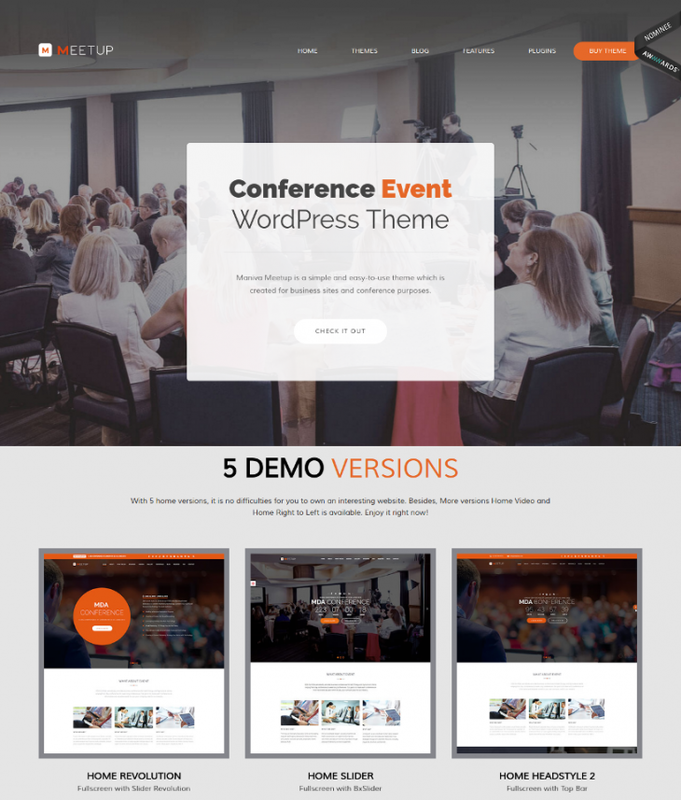 The result: this theme which is essentially an amalgamation of all the features and options which go into the making of ideal conference events WordPress theme. The theme is intuitive and simple, results-oriented and powerful. It not only looks good but it also performs the just as excellently! For those of you that are pros are staging impressive events, you also ought to have a website which introduces your present, the past and future gigs just as well. Check out this theme which creative, feature-rich and looks amazing too. It’s got an all-powerful admin panel from where you can take care of all the action – control the features and options pre-installed in the theme, there is an events calendar, jQuery Curtain Slider, and the best part: it has a blog-style layout! Event companies want their official portal to have a professional and formal look. Well, that’s easy. Download and deploy this lovely Event WordPress theme. It has got all the necessary tech-requisites to handle events, locations, and artists with a pack of features and options. 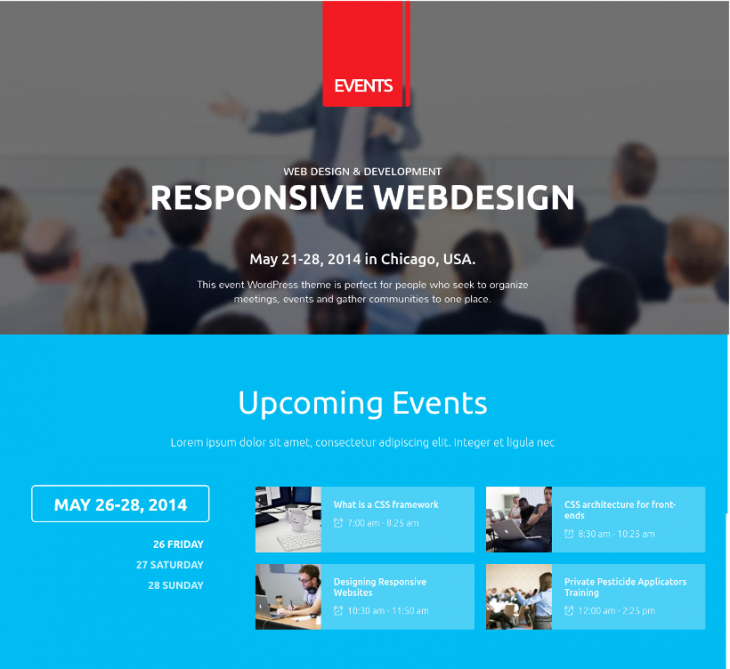 Take a look at this Responsive Event Planner WordPress Theme. It is ideal for wedding planners. The design and layout are elegant. As far as features go, the theme is structured in an organized manner – it includes a news block, price table, testimonials, and 4 image gallery types. Adding more wedding vibes into the theme are the little details and elements of imagery and festive icons pre-included in the theme. 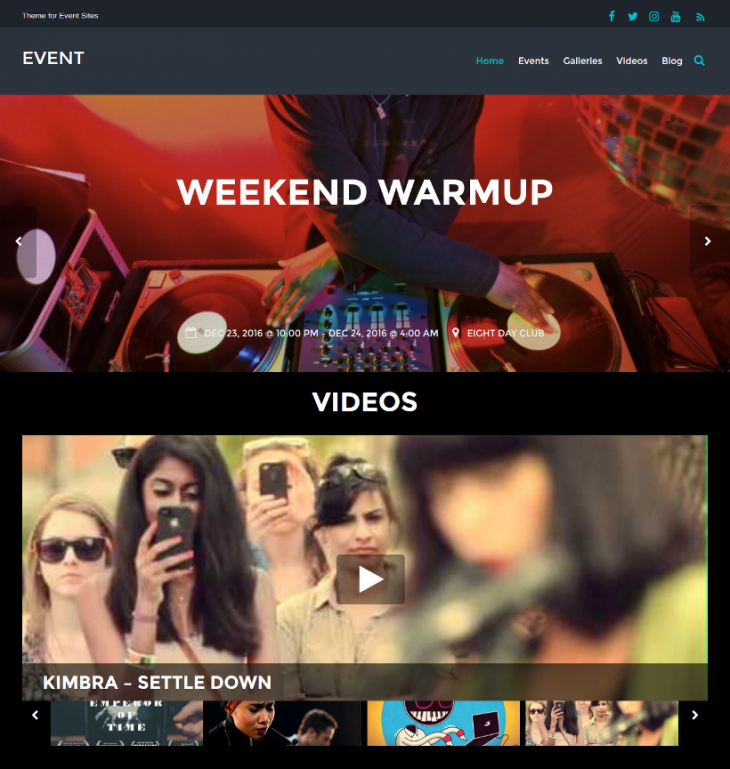 This responsive WordPress event theme is an apt selection for event organizers looking to give their event an elaborate online representation. The theme is packed with clean design and rich features – focused on improving user experience while browsing on the website. There are features like Information Quick View, Quick Filters, Typography, 8-Language Translations, and so much more! If you’re currently running an events blog and wish to give it the feels of a website without actually triggering the transformation, you must plug in this theme to your blog. It’s a multipurpose theme which has the power tools to change the look of your blog and make it appear as an event website. Apart from full responsiveness, this theme enjoys the support of various features including easy coding and cross-browser compatibility! 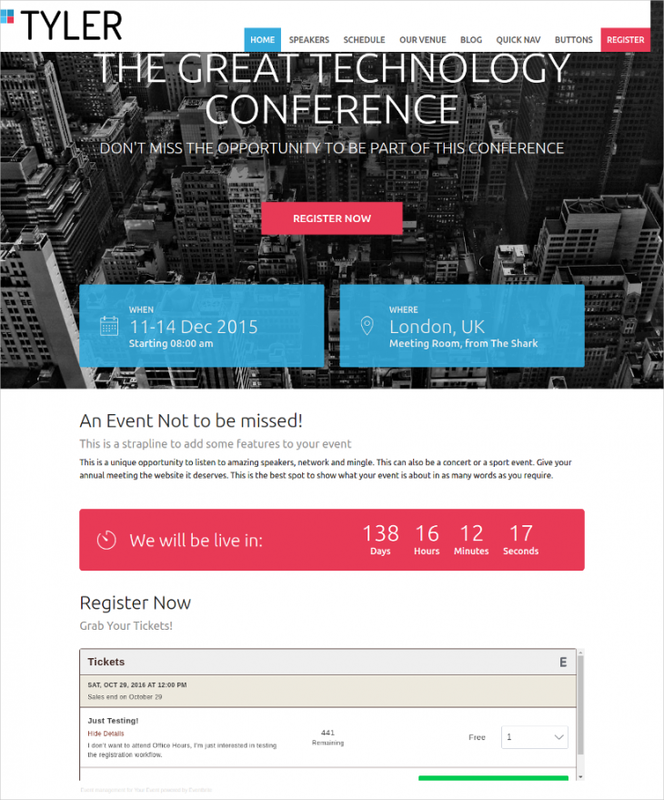 This Event WordPress theme is a conference template laden with great features. It’s got a professional layout and design and the additional features promise easy usability, page-based frontpage. The template is a complete package which takes care of everything related to events – from registration, schedules, venues, speakers and more. 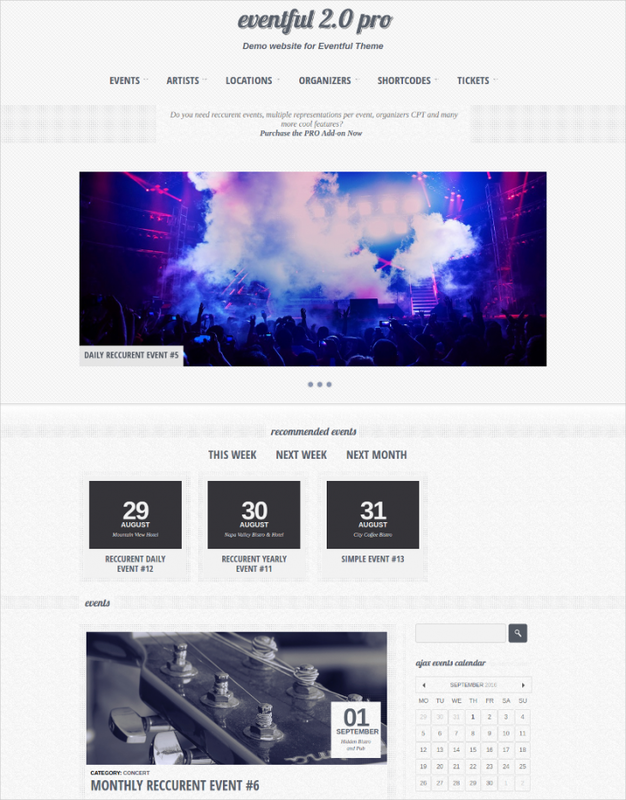 This luscious event WordPress theme is specially designed and built for music and entertainment web portals. In this theme, you get three kinds of post variations: Event, Gallery, and Video posts. Equipped with Parallax scrolling and animation effects, users can easily build complex page layouts to give the website more dimensions. 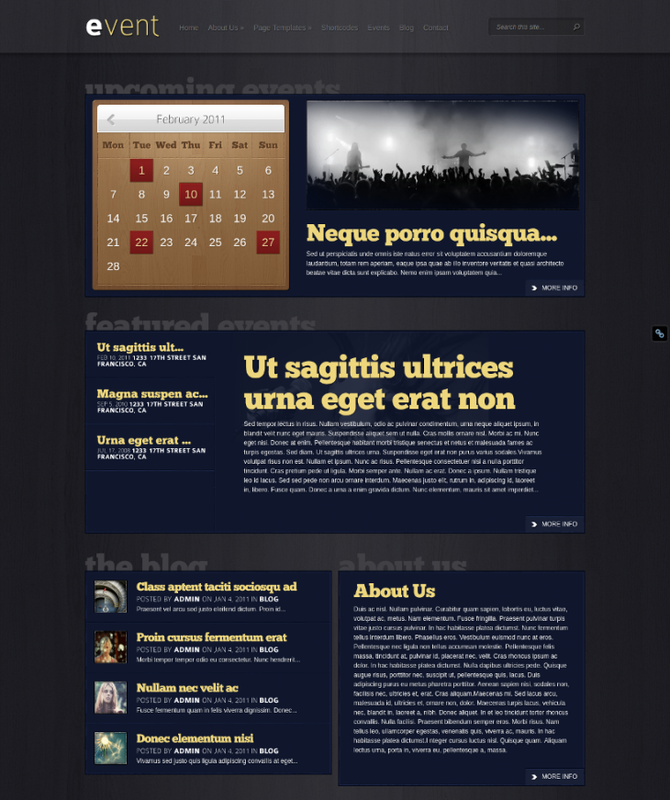 This is a fully responsive and fluid theme. 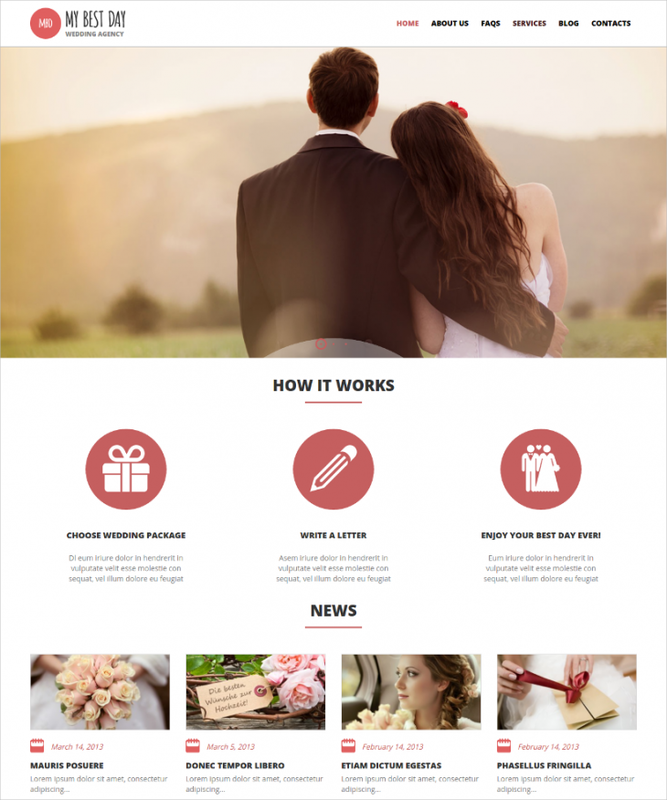 Looking for elegant theme options for your wedding website? 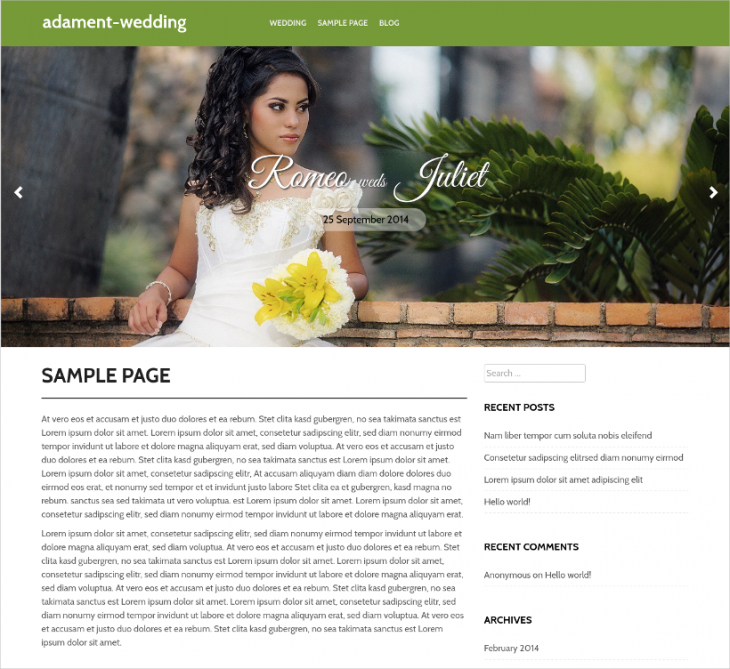 Check out the ‘Adamant Wedlock’ theme. It not only looks elegance-personified, it also possesses all the qualities and assets which you’d want in a wedding event theme. The theme installation and setup process is quick and easy, so is the customization process. Looking to building an event-management directory. WordPress has created its first-ever super-innovative directory WordPress theme based on events. This is a fun and simple theme for first-timers in the events business. It’s got a great search facility, plus users can use multiple filters to narrow down the searches real quick. It’s just as well-equipped as any other directory theme! Whatever be the genre of your music and entertainment events, this theme is well-powered to address and fulfill all the requirements in style. 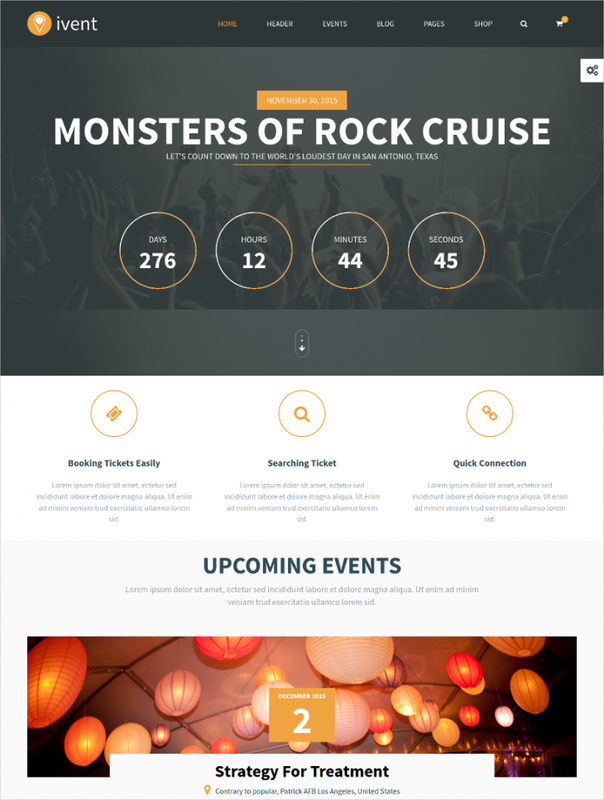 The theme’s features include: WordPress-controlled Navigation Bar, events showcase slider, Events sorted into ‘Upcoming’, ‘Current’ and Past’, Event Form submission on the theme’s front-end , Excellent ‘Search Event widget, and much more! If you love music and love organizing music gigs, well, then your website must also show the same. Tune up your website’s appeal and performance by choosing this utterly music-yours theme which is just perfect to rep for music fests, shows etc. You can easily customize or remix the front page by including tabs, buttons etc. all of your choice only! Are you building a website which gives free representation to upcoming music talents? This WordPress theme has been built just for this purpose. 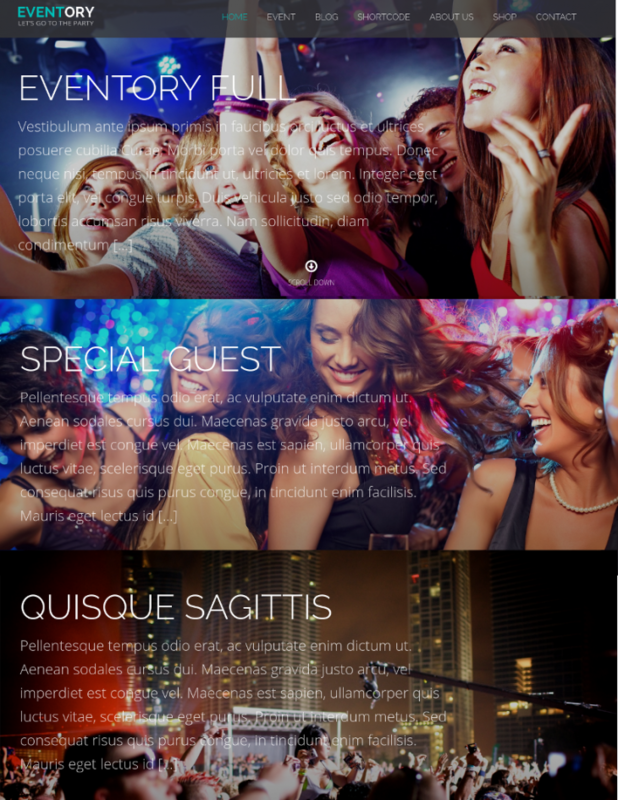 It’s modern and replete with tons of advanced features that will let you display event lists, DJ lists, mixes, artists, albums, galleries. The theme is fully responsive and jam-packed with amazing features! With so many interesting and stunning WordPress theme templates and options on display, we wouldn’t be surprised if you’re in Wow-mode already! All of the aforementioned themes are elaborate in every aspect and respect. 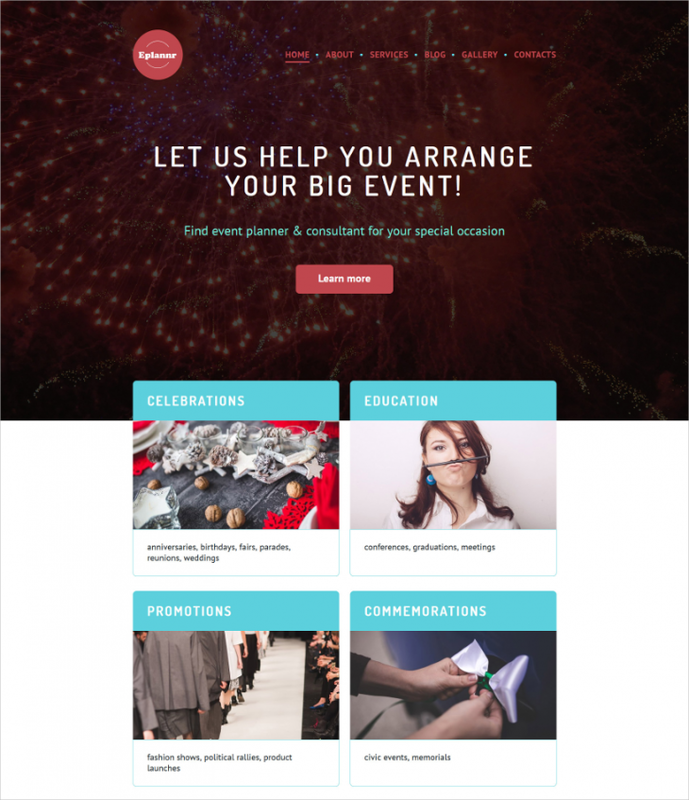 Give your events career and identity the boost with the WordPress themes!